Training dogs is not at all a difficult task; however it requires a lot of tolerance and commitment, along with a few simple tricks. 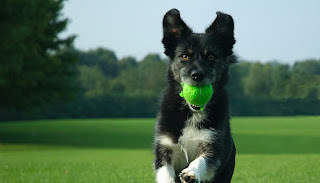 Given below are five easy tips which can help you train your dog successfully. 1. Initially only one person should be made responsible for the dogs training as otherwise the dog will get puzzled which will lead to a hindrance in understanding the instructions. Too many people trying to train the dog at one time will stop the progress. 2. Always use positive reinforcements for your dog. You should reward him when he does something good so that he will know what he does is right. However, if he can not understand your instructions don’t be too harsh as this will hinder his progress. You must understand that dogs are not as intelligent as humans and thus they will continue to make mistakes. You must be tolerant and explain your single command to him a lot many times until he can understand it completely. Do not ever shout at your dog because then it will become fearful of you and will not want to be trained. Use treats to appreciate your dogs but no not use them in excess. 3. Teach one command at a time. When he understands one command, then only you must move on to the next. This is because trying to give him additional commands will only puzzle him. Start with the basic command such as sit, stand etc. Once he has mastered these, you can tell him to fetch things for you. 4. While commanding, make sure that you use cheerful voice so that your dog will happily follow your instructions. Dogs normally respond to low and soft voice; whereas loud voices startle them and so they do not respond. 5. You must not only train your dog at one place. Train him in different places. This is because if you keep him confined to one area, such as your home, then he will not be able to acclimate to the different environment and new people. You must take your dog to the parks or on walks in the neighborhood as this will give your dog a chance to mingle with other dogs and people. Training your dog may sometimes be hard and requires a lot of your patience but remember fruit of patience is always sweet. You never know that it might even save your life one day and pay back for all your efforts. In short, you will be the one to benefit from it in the end.